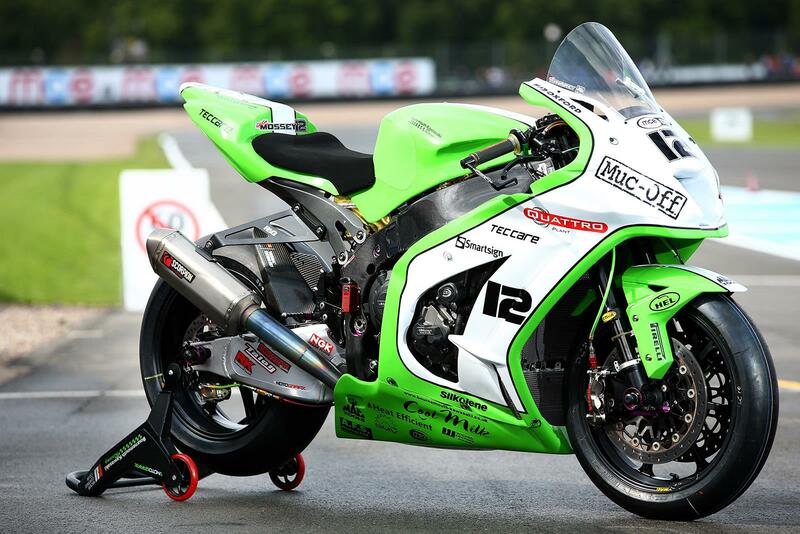 The Quattro Plant Tec-Care Kawasaki team have unveiled a special livery for Luke Mossey to run in the three MCE British Superbike Showdown rounds. 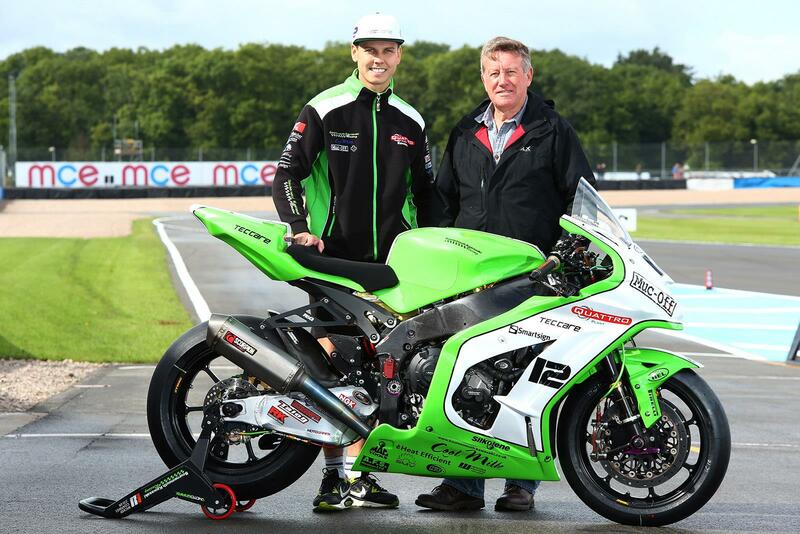 Mossey secured his place in the top six with a career-best second place at Oulton Park, just hours after his partner gave birth to his first child. To celebrate the Showdown spot, team owner Pete Extance has arranged for the 23-year-old to run a livery inspired by his childhood hero Mick Grant’s 1977 TT-winning Kawasaki KR750 for the rest of the season. "I’ve always loved the paint schemes of the 1970s and 1980s, they’re so classic and memorable and the Kawasaki was particularly pretty,” he said. “I grew up watching my dad’s videos of races involving legendary riders like Barry Sheene, Steve Parrish, Agostini and Mick Grant. I watched those guys for hours.